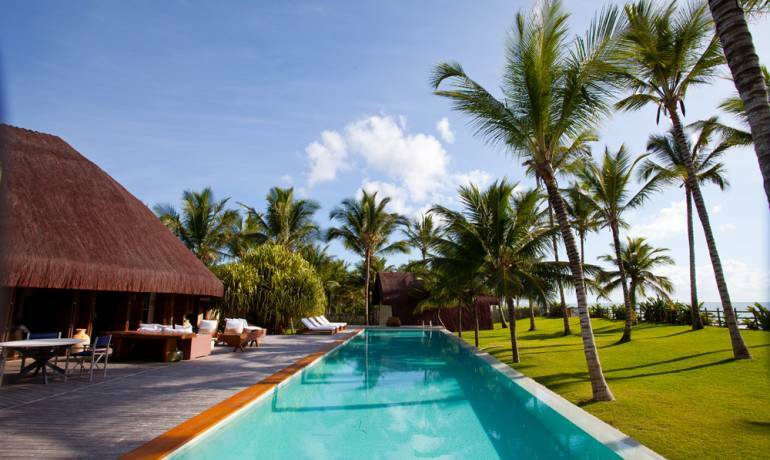 A prime example of Bahian style architecture gone contemporary. 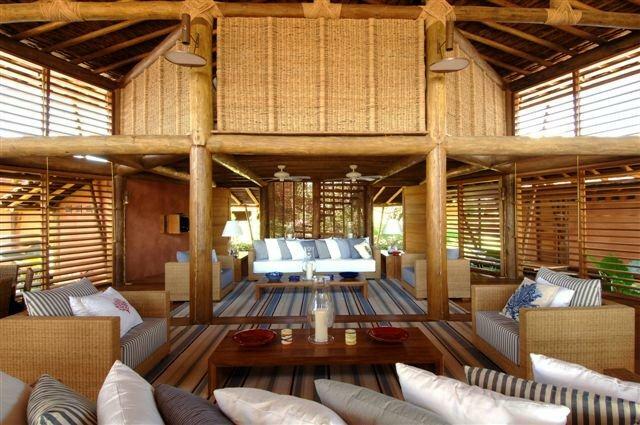 Built entirely of wood and dotted with airy split level verandas, rustic meets chic. Its charms are heightened by the sound of sea breaking on the seamless white sandy beach just metres away. 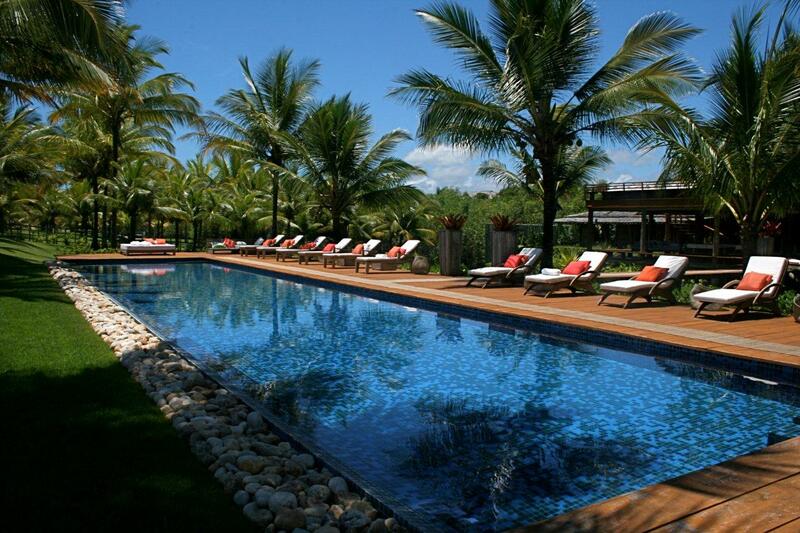 There are good restaurants, bars and shopping options in Trancoso village, 10 minutes away and the striking Terravista Golf course, is not also not far. A good option for large groups or families with kids who like privacy, yet appreciate having entertainment options in a local scenic town close by. 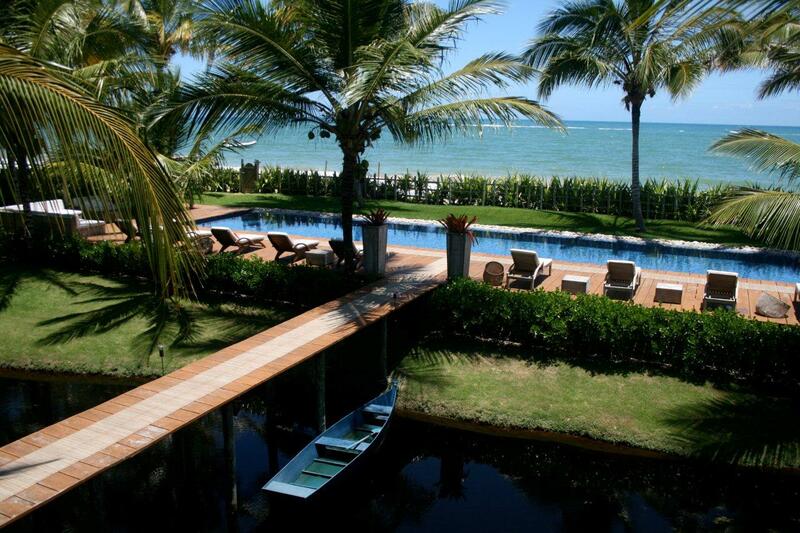 Trancoso villa 4 is located in a gated community in Nativos Beach.